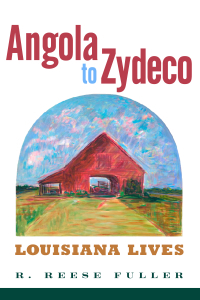 Louisiana Cultural Vistas reprinted “The Record Man,” one of the pieces from Angola to Zydeco, in its summer edition. Check it out. It’s a beautiful 10-page spread. And strangely enough, two years ago, LCV published a piece about Louisiana fiddlers by Ron Yule which featured my grandfather, Roy “Peanut” Conn. Look for the article on page 56 and the section about Peanut on page 61.